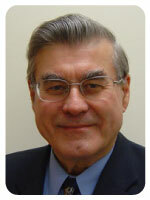 Emeritus Professor Mysak is former director of the Earth System Modelling Group in the Department of Atmospheric and Oceanic Sciences. The main goal of his research has been to develop and apply reduced complexity models of the Earth system to better understand decadal and longer-term climate variability and change. Analysis of climate data and data-model intercomparison studies have also been important activities in his research. Brault, M-O., L.A. Mysak and H.D. Matthews, Carbon-cycle implications of terrestrial weathering changes since the last glacial maximum. FACETS, 2: 267-285, doi:10.1139/facets-2016-0040 (published online Mar. 14, 2017). Brault, M-O., H.D. Matthews and L.A. Mysak, 2017. The importance of terrestrial weathering changes in multimillennial recovery of the global carbon cycle: a two-dimensional perspective. 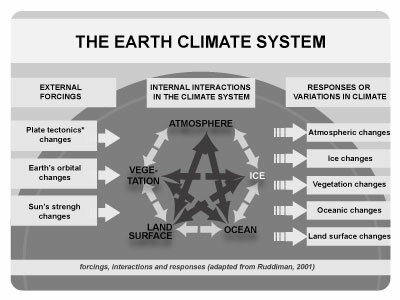 Earth System Dynamics, 8, 455-475, doi:org/10.5194/esd-8-455-2017. Simmons, C.T., H.D. Matthews and L.A. Mysak, Deglacial climate, carbon cycle and ocean chemistry changes in response to a terrestrial carbon release. Climate Dynamics, 46: 1287-1299, doi:10.1007/s00382-015-2646-6. Marson, J.M., L.A. Mysak, M.M. Mata and I. Wainer, Evolution of the deep Atlantic water masses since the last glacial maximum based on a transient run of NCAR-CCSM3. Climate Dynamics, 47: 865-877, doi:10.1007/s00382-015-2876-7 (published online Oct. 23, 2015). Brault, M.-O., L.A. Mysak, H.D. Matthews and C.T. Simmons. Assessing the impact of late Plestocene megafaunal extinctions on global vegetation and climate. Climate of the Past, 9, 1761-1771, doi:10.5194/cp-9-1761-2013. Simmons, C.T., L.A. Mysak and H.D. Matthews. Investigation of the natural carbon cycle since 6000 B.C. using an intermediate complexity model: The role of Southern Ocean ventilation and marine ice shelves. Atmosphere-Ocean, 51:2, 187-212, doi:10.1080/07055900.2013.773880. Damyanov, N.N., H.D. Matthews and L.A. Mysak. Observed decreases in the Canadian outdoor skating season due to recent winter warming. Environmental Research Letters, 7 (8pp), doi:10.1088/1748- 9326/7/1/014028. Simmons, C.T. and L.A. Mysak. Stained glass and climate change: How are they connected? Atmosphere-Ocean, 50:2, 219-240. Carozza, D.A., L.A. Mysak and G.A. Schmidt. Methane and environmental change during the Paleocene-Eocene thermal maximum (PETM): Modeling the PETM onset as a two-stage event. Geophysical Research Letters, 38, L05702, doi: 10.1029/2010GL046038. Antico, A., O. Marchal, L.A. Mysak and F. Vimeux. Meridional moisture flux in the atmosphere and deuterium excess in polar ice: insight from a zonally-averaged ocean-atmosphere model. Journal of Climate, 23: 4841-4855. Antico, A., O. Marchal and L.A. Mysak. Time-dependent response of a zonally-averaged ocean-atmosphere-sea ice model to Milankovitch forcing. Climate Dynamics, 34: 763-779, DOI: 10.1007/s00382-010-0790-6. Jahn, A., B. Tremblay, R. Newton, M.M. Holland, L.A. Mysak and I.A. Dmitrenko. A tracer study of the Arctic Ocean’s liquid freshwater export variability. Journal of Geophysical Research, 115, C07015, DOI:10.1029/2009JC005873. Yang, S., D.A. Carozza and L.A. Mysak. Re-tuning the Walker-Kasting global carbon cycle box model using a parameter sensitivity analysis. McGill Science Undergraduate Research Journal, 5: 67-72. Jahn, A., B. Tremblay, L.A. Mysak and R. Newton. Effect of the large-scale atmospheric circulation on the variability of the Arctic Ocean freshwater export. Climate Dynamics, 34: 201-222. DOI: 10.1007/s00382-009-0558-z. Wang, Y., N.T. Roulet, S. Frolking and L.A. Mysak. The importance of Northern Peatlands in global carbon systems during the Holocene, Climate of the Past, 5: 683-693. Corrigendum, 5: 721-722. Sedlacek, J. and L. A. Mysak. A model study of the Little Ice Age and beyond: changes in ocean heat content, hydrography, and circulation since 1500. Climate Dynamics, 33: 361-475, DOI: 10.1007/s00382-008-0503-6. Sedlacek, J. and L.A. Mysak. Sensitivity of sea ice to wind stress and radiative forcing since 1500: A model study of the Little Ice Age and beyond. Climate Dynamics, 32: 817-831. DOI: 10.1007/s00382-008-0406-6.